“Myth: 82% thought that teaching children in their preferred learning style could improve learning outcomes. This approach is commonly justified in terms of brain function, despite educational and scientific evidence demonstrating that the learning-style approach is not helpful (Kratzig & Arbuthnott 2006).” Check The Myth of Learning Styles article and infographic to find more! 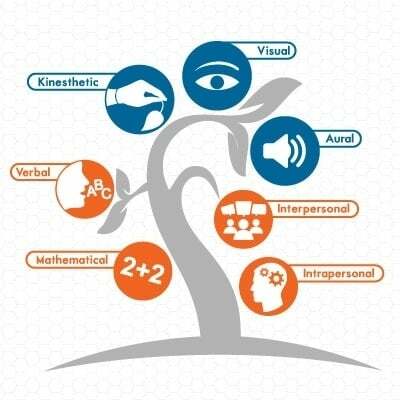 What are the Main Learning Styles? Advocates of the learning style theory argue that instructors can achieve much better results when they take their student’s learning style under consideration and create a course that best fits this exact style. The adversaries of the learning style theory say that this concept is misunderstood and not scientifically proven, and they argue that learning styles do make instructors understand what motivates and cerebrally stimulates their students, but they can’t guarantee a successful outcome nor predict it. So where is the truth in that and where lies the Learning Styles myth? First of all, it’s true that people are different and that these exact differences affect the way they learn. Some have special needs. Some have special abilities. And no one can argue that intelligence comes in various levels and forms. Second, people have different interests and when someone is interested in a subject, chances are that he will learn about it faster and more in depth. Third, learners have diverse backgrounds, something that undoubtedly affects their learning. And, last but not least, there are people with various learning disabilities, something that ultimately affects the way they learn and that requires a special approach on behalf of the instructor.